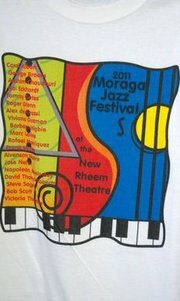 Moraga, CA (August 11, 2011) – The New Rheem Theatre’s presentation of the very first Moraga Jazz Festival has set tones of “jazzy” superlatives reverberating in its big auditorium since this past Sunday, August 7th, 2011. The festival’s caliber of well-acclaimed international and local performers wowed the crowd at the New Rheem Theatre’s Winchell Auditorium. The four- hour concert ended up as a standing-room only as wave of avid jazz fans could not resist witnessing the historic and momentous event. The lineup included Alex De Grassi, a famous “Maestro Guitarist”, who has captivated audiences from around the globe with his fiery renditions; jazz legend Roger Glenn who played with Dizzy Gillespie; keyboardist Victoria Theodore who is a mainstay of Stevie Wonder’s concert tours; Mark Levine on the rhythms of bass; Frank Martin, who has performed with some internationally acclaimed artists like Andrea Bocelli and Al Jarreau; George Brooks on the saxophone; Carol Alban, founder of the Moraga Jazz Festival and a famous local flutist; and other celebrated musicians. Attendees, who came all over from the San Francisco Bay Area, Canada, and New York, were amazed that the founding committee of five volunteers only had six weeks to plan the entire event. The committee members, which include Carol Alban, the founder, Mayor Karen Mendonca of Moraga, Town of Moraga Manager Jill Keimach, Karen Wyle, and Beau Behan, candidly responded that they did not do it all alone. The musicians and performers also volunteered their time and energy, and altogether, it was a grassroots effort inspired by a worthy cause—to raise money for the tornado victims of Joplin, MO. The founding committee of the Moraga Jazz Festival and the New Rheem Theatre would like to thank all of the performers, musicians, and the festival sponsors and supporters, and all of its attendees and fans. With their support, the future of the Second Annual Moraga Jazz Festival is now secure, and it will take place sometime next year, in 2012. 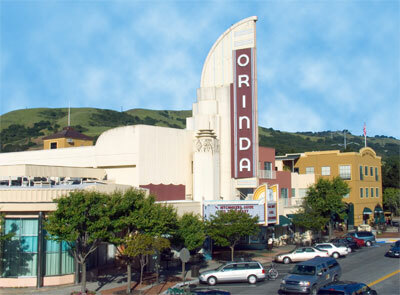 Major Festival Sponsors include New Rheem Theatre, California Independent Film Festival, Swanson Music, Lamorinda Weekly, DC Pianos, In The Bag, Inc., Moraga UPS Store, Lamorinda Web, Moraga Chamber of Commerce, Jonathan Winchell Auditorium and Orinda Theatre . Are there any foreclosed, bank-owned, REO or potential short sale properties in the East Bay cities Lafayette, Moraga or Orinda (Lamorinda)? If so, what type of discount are they selling for? Yes, there are distressed properties in Lafayette, Moraga and Orinda, just not many compared to other cities in Alameda and Contra Costa that were hit significantly harder by the market downturn. From January 1, 2010 to May 7, 2010, there were 28 distressed sales in Lamorinda accounting for 17.7% of total sales in these cities. In addition, there were another 26 sales pending as of May 7, 2010. Of these 28 sales, 10 were short sales, and 18 were REO’s. These properties were listed for an average of $669,949 ($306/square foot) and sold for an average of $642,402 ($295/square foot) – a 4.1% average discount on the list price. During the same period of January 1, 2010 to May 7, 2010, there were 130 non-distressed sales (re-sales and new construction) that were listed for an average of $1,017,907 ($427/square foot) and sold for an average of $966,636 ($409/square foot) – a 5.0% discount on the list price. Based on this data, distressed properties are selling for an average discount of 30.7% versus non-distressed real estate sales. 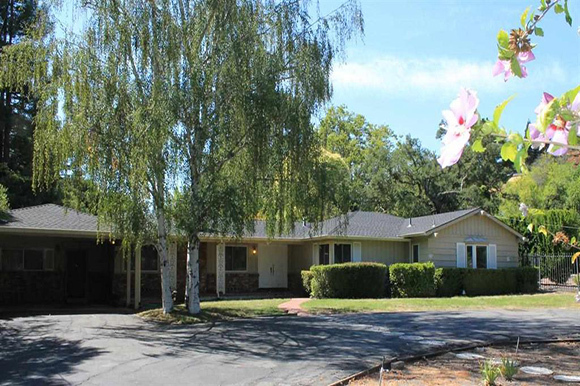 For more information about this market, or to sign up for a free-list of distressed sales in Lafayette, Moraga, Orinda or other Contra Costa or Alameda County cities, please contact Andy Read, Broker, at 510.594.2400 x 222 or aread@Caldecott.com.